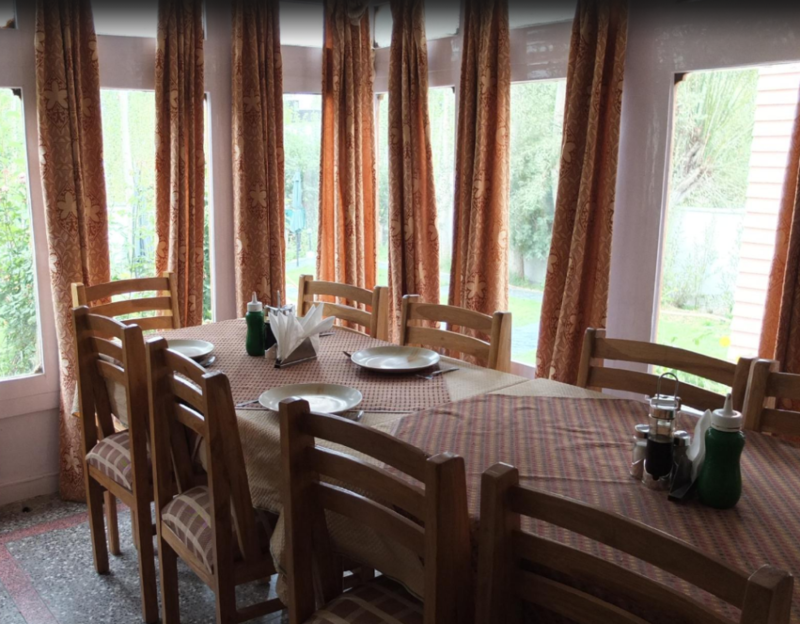 Hotel Ladakh Greens is located at 1 km from the Zorawar Fort.This hotel in Leh provides Wi-Fi access in its premises. It is accessible from the Bus Stand JK SRTC 2 km.The hotel houses 8 rooms spread across 2 floors. All the rooms are equipped with attached bathrooms.It also provides a satellite TV telephone and room heating cooling facility. This Leh hotel has a multi-cuisine restaurant and provides power backup facility. Front Desk, Major Credit Card Accepted, Gardens, Currency Exchange, Backup Generator, Family/Child Friendly, Doctor on Call, Room Service, Laundry Facilities, Complimentary Newspapers in Lobby. Attached Bathroom, Luggage Rack, House Keeping, H/C Water, Shower Caps, Dustbins, Desk, Television Room, Ceiling Fan, Telephone. User reviews for "Ladakh Greens Hotel Leh"